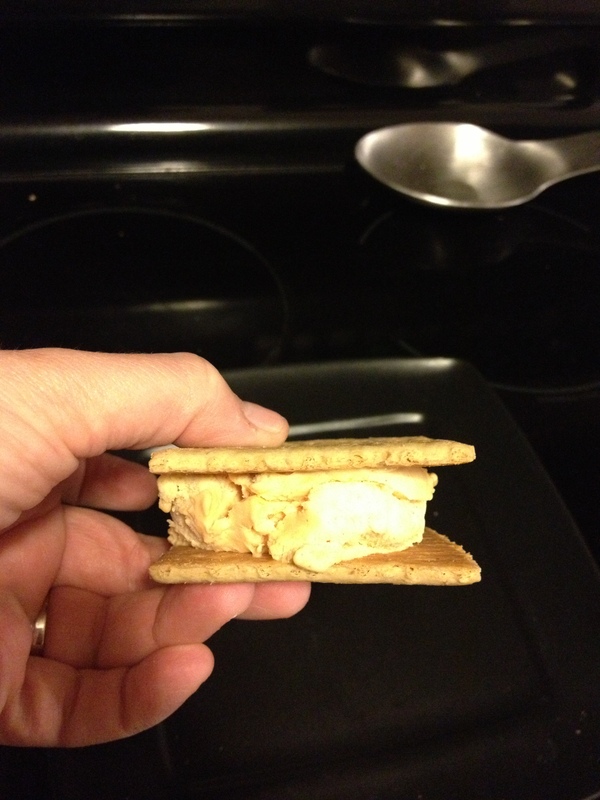 This one is AWESOME…and it totally goes to my genius husband, who thought it up one day while looking for a sweet snack. This is so great, and I’m sure it would work pretty well with cheesecake or strawberry ice cream too! 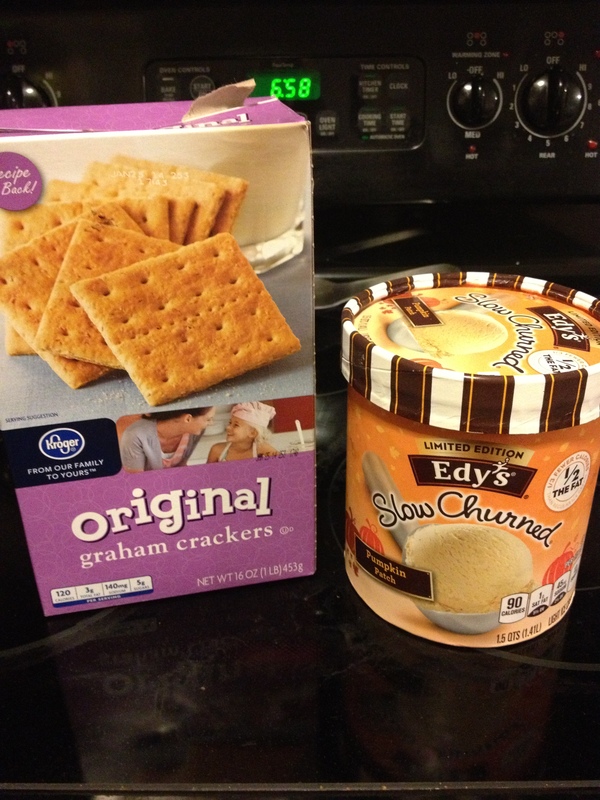 Smoosh ice cream between graham crackers, and enjoy! 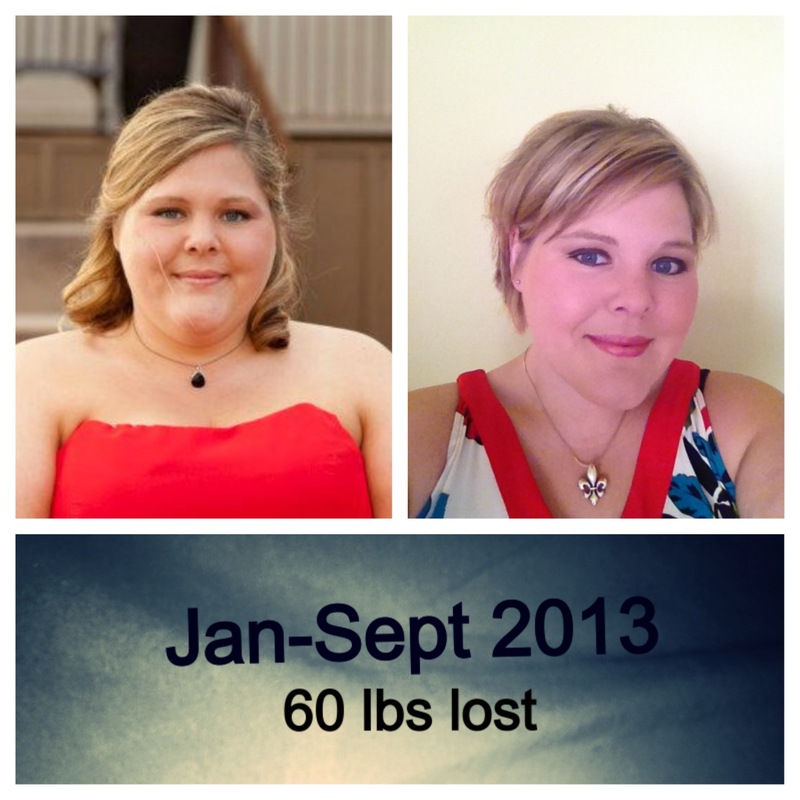 So, Here’s my progress so far….. 67 lbs down, about 40 to go! So, first, thank you guys for following my progress, and offering encouragement and support. 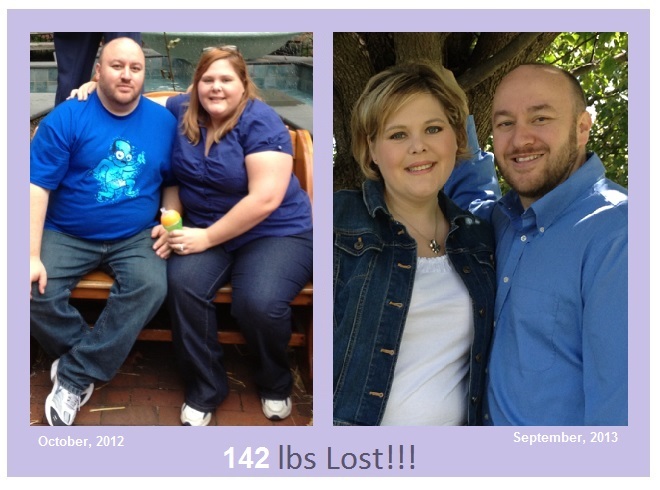 As many of you know, we started our weight loss journey on Jan 6 of this year. Although the progress has slowed significantly in the past few months, our journey continues. For now, here’s a snapshot or two of our progress!!! Please keep checking in for more recipes and updates! This is a fall classic. Who doesn’t love a good pumpkin pie!? 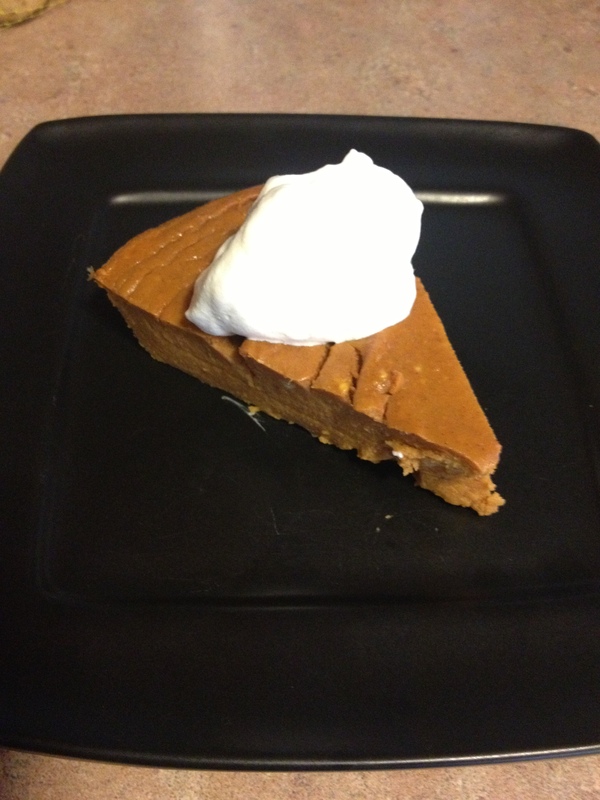 Well, it’s hard to believe, but this is a delicious pie, just the way you like it, but less about 100 calories per slice! (those are real slices, not 1/16th of a pie). You may notice that this is a “crustless” pie… don’t let it turn you away. YOU WILL NEVER MISS THE CRUST, but you’ll love missing the 110 calories per slice that the crust would add. This is my favorite find this fall. The original recipe comes from “Cooking Light” magazine. This is a slight adaptation. 1. In a large bowl, combine the egg, egg whites, pumpkin, sugar substitute, sugar, biscuit mix, vanilla and spices until smooth. Gradually stir in evaporated milk. 2. Pour into a 9-in. pie plate coated with cooking spray. Bake at 350° for 35-40 minutes or until knife inserted near the center comes out clean. Serve with cool whip before serving. Refrigerate leftovers. 1. Arrange Lettuce, almonds, apples, cheese, craisins and red onions on a plate. Top with Chicken and vinaigrette. 1. 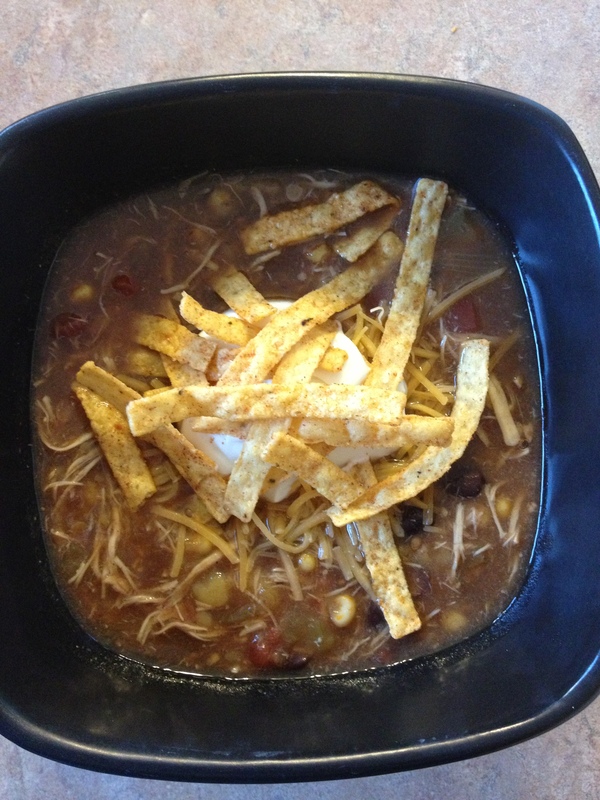 Mix all ingredients in a crock pot and cook on low for 8 hours. 2. remove chicken, shred, and return to pot. 3. 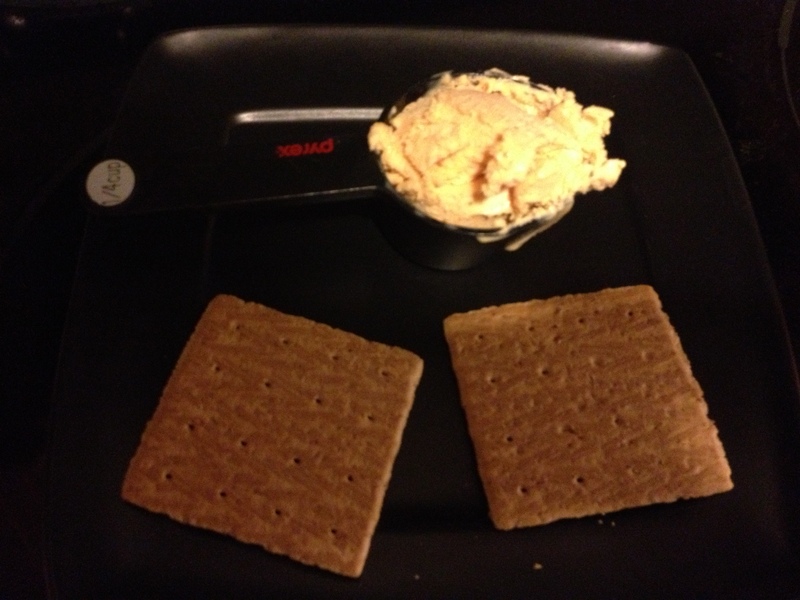 Serve with garnish of: Greek yogurt (or sour cream), Shredded cheese, tortilla strips, jalapenos, black olives, green onion, etc. Of all the many, many things I’ve cooked (some healthy, some not-so-healthy) over the years, this is my husband’s favorite meal. If I had time to make this once a week, he would not complain. It is pretty darn yummy, and makes great left overs too. 2. Mix chicken with cream cheese, soup, green chiles, and salt and pepper. 3. wrap 4 tortillas in a napkin and microwave for 20 seconds to warm and soften. Remove them and repeat with remaining 4 tortillas. 4. Divide chicken mixture evenly between the 8 tortilla shells. About 1/3 cup filling per tortilla. 5. 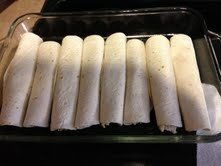 Fold tortilla over filling and tightly roll tortilla around filling. Do not fold in edges. 6. Spray a pyrex baking pan with nonstick spray, and line enchiladas side by side across pan. 7. 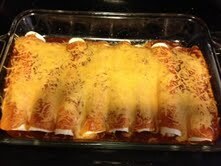 Pour enchilada sauce evenly over enchiladas, and top with shredded cheese. 8. Bake at 350 for 20-25 min. 9. Serve with reduced fat sour cream or plain greek yogurt! yum.